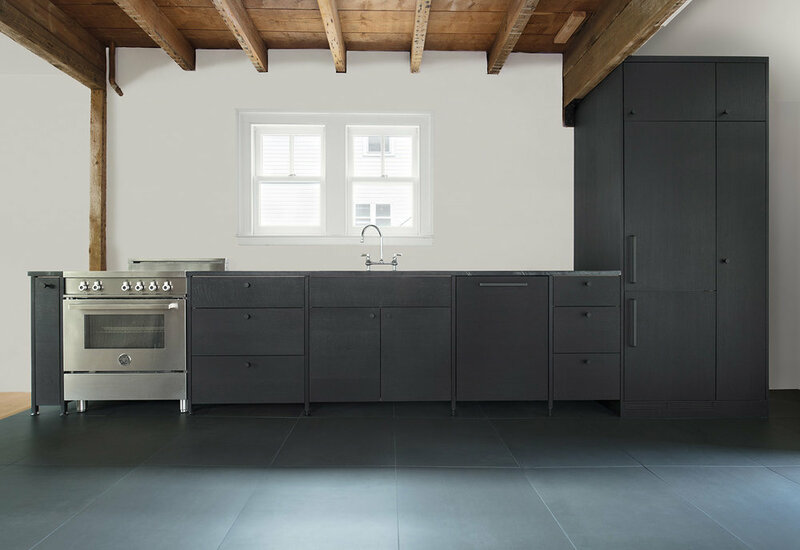 We are so lucky to have worked with talented clients, and the Cold Spring kitchen project was a true dream. Our client is a talented architectural designer, with a commitment to naturally sourced materials, and a slow approach to beautiful spaces. Our collaboration resulted in a kitchen with a furniture feel. We used exposed leveling feet to accomplish this, and a natural blackened oak finish highlighted the flecking of the white oak.